Dr. Sukitti Klangvisai 1993 18 72 6555 20 minutes from Patong Beach. 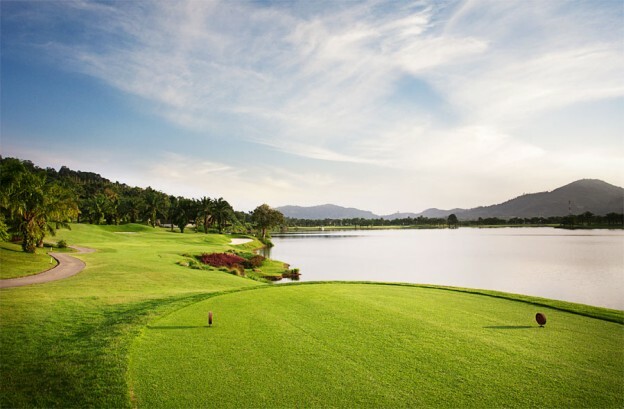 The Loch Palm Golf Club Phuket, with 18 hole, par 72, has been built around Crystal Lake, the largest body of water on any Phuket golf course. The course has smooth slopes and dramatic elevation changes, taking you across and around ravines and plateaus that test all levels of skill. The front nine holes sit among lakes and palm trees, while the second nine move you along though the mountains, hitting uphill and downhill with woods, irons and even your putter.